Voices (f. by Needs Further). 3 wins. See below. Supremator (g. by Redoute's Choice). 3 wins at 1000m, 1100m, STC Party With Horses H.
Odessa Lad (g. by Ladoni). Winner at 1200m, 2d TRC Raine & Horne Eastern Shore H., Joseph Powell H., 3d TRC Seppelt H.
Nascaui Taeyang. 2 wins at 1700m in 2018 in Korea. Say My Name (g. by Onemorenomore). 2 wins at 1100m, 1300m in Aust. Needs Amore (f. by Needs Further). Winner at 1200m in 2018-19 in Aust. Comstrum (f. by Stratum). Winner at 1200m in Aust. Miss Dhoni (f. by Ladoni). Placed in Aust. Come on Charger (g. by Charge Forward). Placed in Aust. Come on Rory (Rory's Jester). 3 wins. See above. Keeponrolling. Winner at 1650m, BRC Vero H.
Flyinby (Postponed). 5 wins from 1600m to 2200m, Waipa RC Te Awamutu Centennial Cup, ARC TJ McKee Trophy, Avondale JC Ritchies Coachlines H., 2d Waikato RC Bupa Care Services H., 3d Rotorua Challenge P., L, ARC NZB Ready to Run Sale 2YO H., Lindauer H.
BRIDAL HILL (Unbridled's Song). 4 wins-1 at 2-at 1200m, 1500m, A$199,400, QTC Sir Douglas Wadley H., L, MRC Summoned S., L, 2d VRC AV Kewney S., Gr.2, VATC Mercedes-Benz S., L. Producer. EASTERN MUSIC - CHIEF EXECUTIVE (Mal.) (Danehill). 5 wins to 1200m in Aust. and Malaysia, Perak TC Sultan's Gold Vase, L, Class 1 H., 3d SAJC Oxford Landing H.
Mubarak (Kenmare). 9 wins from 1100m to 1600m, A$82,915, SAJC Aurie's Star H., Beau Gem H., Parkin Sheedy H., 2d VRC Bobby McGee's S., L.
Chagall (Bluebird). 3 wins from 1200m to 1900m, STC Limerick Junction H., AJC Peace Council H., STC Rudolf H., 2d STC Awa Club Keno Welter H., 3d AJC Hobartville S., Gr.2, Royal Sovereign S., Gr.3. Sire. Come on Angel (Godswalk). Winner. See above. Glefti (Dehere). 6 wins from 1500m to 3000m, A$258,500, VRC Teac Irish Day H., 2d MRC Autumn Classic, Gr.2, VRC Imperial Leather S., L, 3d VRC St Leger, Gr.3. TOMMIFRANCS (Real Quiet). 10 wins from 1350m to 2500m, A$506,150, VRC Bagot H., L, NSW Tatt's RC Tattersall's Club Cup, L, STC Frank Underwood Cup, L, Murrumbidgee TC Wagga Wagga Cup, L.
SCINTILATING SKILL (Placerville). 7 wins from 1200m to 2800m in India, Hyderabad Golconda St Leger, L, Golconda Oaks, L, 2d Hyderabad Golconda Derby, L, Bangalore Winter Million, L.
ARMOURY (Placerville). 3 wins from 1400m to 2000m in India, Bombay Dashmesh & Hargobind Studs Million S., L, 2d Bangalore Kingfisher Colts Trial S., L, Poona Herbertsons Bagpiper Invitational Trophy, L, Bangalore Two Thousand Guineas, L.
STRING ALONG (Alnasr Alwasheek). 8 wins from 1200m to 2400m in India, Hyderabad Golconda Oaks, L, Bangalore Karnataka Cup, L, Mysore One Thousand Guineas, L, 2d Hyderabad Golconda One Thousand Guineas, L.
ZERO ROCK (Danzero). 11 wins-1 at 2-to 1350m, A$894,050, Qld Tatt's RC Tattersall's Classic, L-twice, 2d BRC Dane Ripper S., Gr.2, George Moore S., Gr.3, 3d BRC Stradbroke H., Gr.1. DUBLEANNY (Dubleo). 9 wins to 1200m, A$543,925, VRC AR Creswick S., L, Straight Six H., L, SAJC Proud Miss S., L, 2d MRC Caulfield Sprint H., Gr.2. Producer. 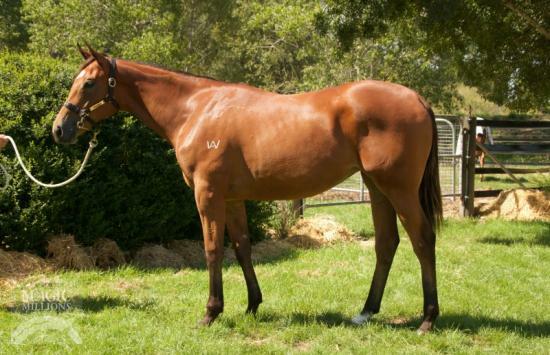 SEANNIE (Sebring). 4 wins-2 at 2-at 1000m, 1200m, A$258,350, to 2018-19, WATC Supremacy S., L, Silks 2YO P., 3d MVRC Typhoon Tracy S., Gr.3, WATC Gimcrack S., Gr.3. 3 wins from 1400m to 1600m to 2018-19, TTC Launceston Cup Day H., Trevallyn Newsagency P., 2d TTC Villages of Life P., TRC Happy New Year H., 3d TTC Leger Lawn Marquee H., Tas Hospitality Association H.